Tag Archives: Montréal (Québec) — Social conditions — 19th century. 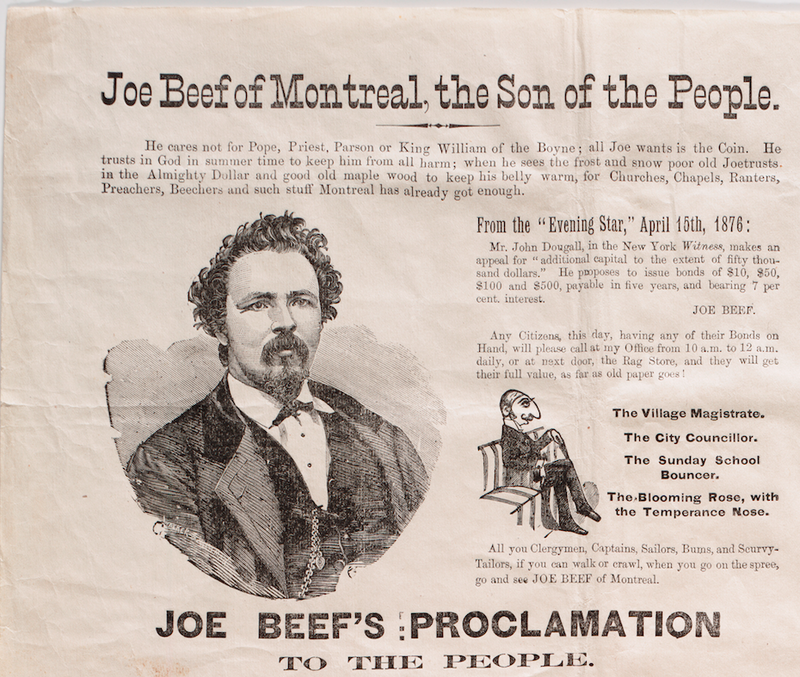 Back in October we blogged about one of the Joe Beef of Montreal, the Son of the People‘ manifesto we have in our Rare Books and Special Collections. Similar in tone is the second Joe Beef manifesto in our collection. Also printed on woven paper but this time as a single column and on both sides with a width of only 23 centimetres. Other notable variations include a misspelling of his fist name at the very top and some useful rules for police constables. The text consists largely of a long list of client types willingly served at Joe Beef’s Canteen; the content also alludes to McKiernan’s defense against attacks by John Redpath Dougall, and shows McKiernan’s criticism of clergy uncaring of the needy, and of police constables. Rules for Police Constables by Authority of Joe Beef. 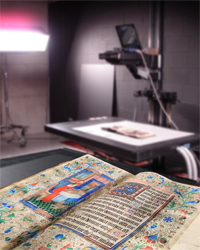 The original is available for consultation at Rare Books and Special Collections during their opening hours, Monday-Friday 10am-6pm.